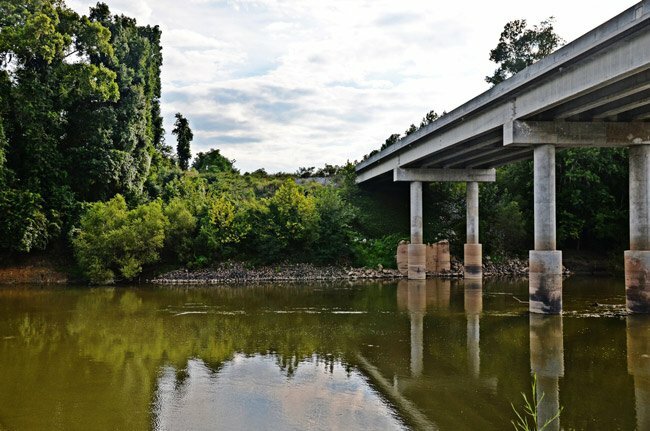 Also known as the the Pee Dee River, the Great Pee Dee begins in Blowing Rock, North Carolina, and eventually empties into Winyah Bay in Georgetown County. For the river’s first two hundred miles it is known as the Yadkin River; it becomes the Pee Dee just before entering South Carolina near Cheraw in Chesterfield County. The Pee Dee River is named for the Pee Dee Indians. From Cheraw, the Pee Dee River flows 203 more miles, 70 of which were designated as “Scenic” by the State of South Carolina in 2002. The designated corridor flows from US Highway 378 (seen below) to Winyah Bay, winding through cypress-tupelo swamps and old rice fields. During colonial times the river served as an important trade route from the Lowcountry to Cheraw. The river also was used by the rice plantations prior to the Civil War. 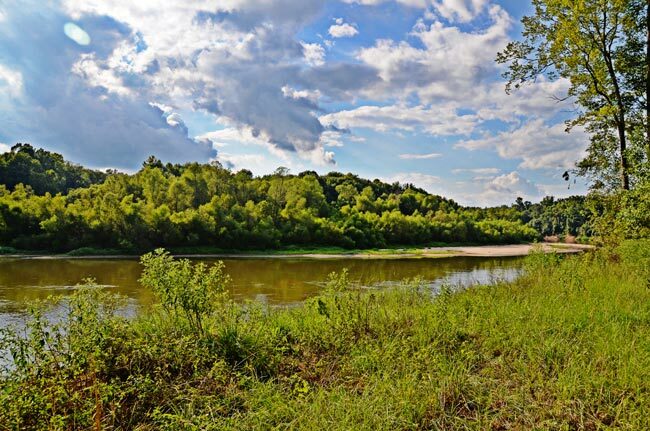 From US Highway 378, the landscape surrounding the river changes dramatically. 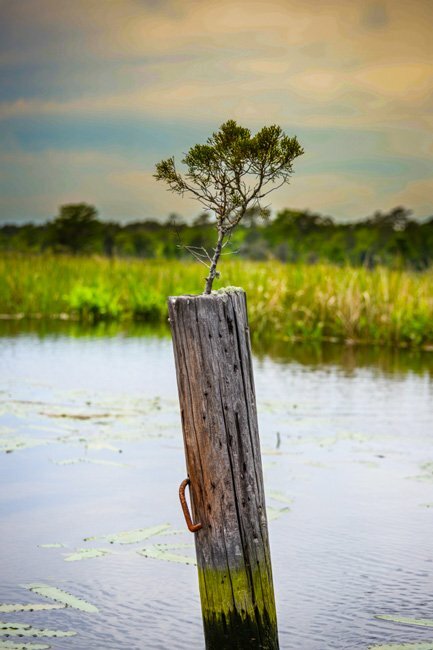 The floodplain forests give way to swamps, and sandy bars and small lakes attract explorers until the river meets the Little Pee Dee River at the convergence of Georgetown, Horry, and Marion counties. At this point, tidal streams flank the water, and the river later converges with the Black and Waccamaw rivers before spilling into Winyah Bay. Today the Great Pee Dee River is used as a source of hydroelectric power and recreation. 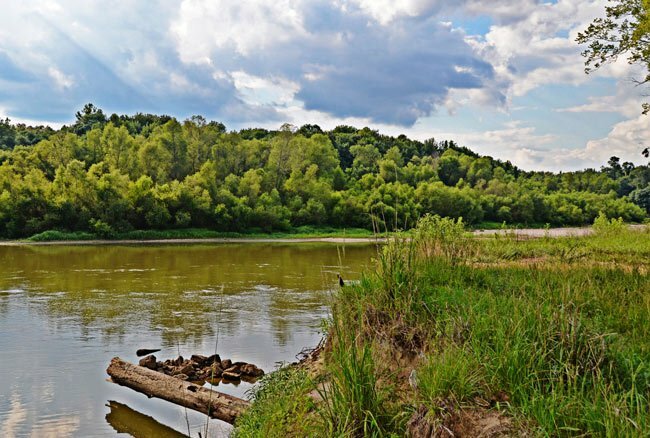 Birders love to visit the scenic sections of the river in hopes of seeing rare and protected species such as bald eagles, swallow-tailed kites, and red cockaded woodpeckers. 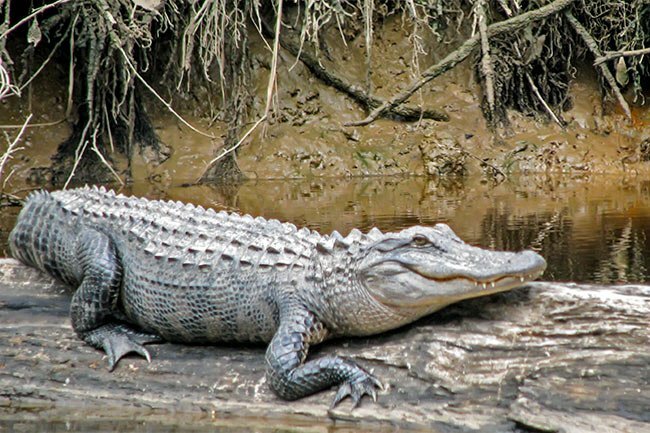 Many other species make their home in the Great Pee Dee River, including the American alligator, an often feared and admired predator in the state. On September 29, 2015, a team of researchers lead by the University of South Carolina raised three Confederate cannons from the Great Pee Dee River in Florence County. The cannons were made in Selma, Alabama and only briefly used during the Civil War. Mounted on the CSS Pee Dee, the cannons also signify modern warfare, as they were able to turn 360 degrees to fire at enemy boats. This was a new development in gun mounting at the time. The CSS Pee Dee was built locally at the Mars Bluff Shipyard, also called the Pee Dee Shipyard. The presence of Federal blockades in coastal ports instigated the construction of the inland navy yard in 1863. The CSS Pee Dee was the only ship built at the Mars Bluff shipyard. In 1865, following General Sherman’s burning of Columbia, the ship traveled up the river to head off Union boats headed this way. It is unknown whether or not the cannons were fired, but the CSS Pee Dee quickly returned to Mars Bluff. Its three cannons were tossed into the river, and the ship was burned prior to the arrival of Federal troops. Diver Ben Butler, who searched for the cannons for more than two decades, found one cannon in 1995. His second discovery occurred in 2006, followed by the finding of the third cannon in 2013. Butler discovered the final cannon while part of the Pee Dee Research and Recovery Team. Thanks to a $200,000 grant from the Doctors Bruce and Lee Foundation, a charitable foundation from Florence, the cannons were raised from the waters of the Pee Dee River in early fall of 2015 under the guidance of the USC Institute of Archaeology and Anthropology. They will be rehabilitated at the Warren Lasch Conservation Center in North Charleston, the same organization that restored the CSS Hunley, and then be displayed at the Florence United States Department of Veterans Affairs. Add your own reflections here.